It is really rather awful outside. Taken from the north barn, facing south. Deceptively calm picture! I am grateful I could do chores at the pace needed … and could wait until daylight. I didn’t have to (try to) rush through them in the dark, on a mission impossible, before leaving for the office. Bert, not a bit sure he wanted to come out of his cozy hut for fresh water. I am grateful for the snow-boots I purchased on clearance at Farm & Fleet. Merry Christmas & Happy New Year to me. There were drifts up to my knees. Deceptive drifts. They didn’t look that deep. 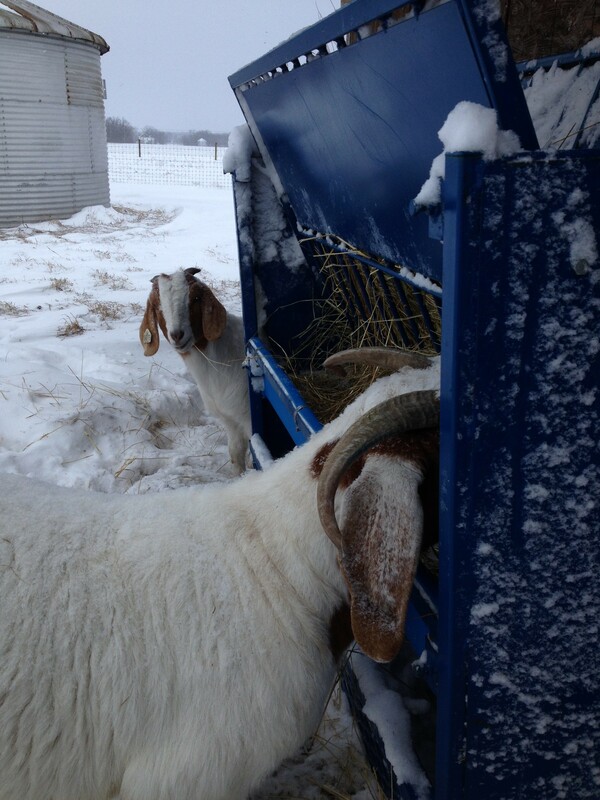 I am grateful that the goats can make me laugh … even with the cold wind and snow blowing in my face. And that my septic system was re-done in 2013. I am glad for a clean slate. An almost-blank calendar that can be filled in with important items and hopefully not so many “urgent” ones. I am grateful that I am home to rummage through the freezer to make lunch for the boys, home from college. And grateful I found a roll of Rhodes frozen bread dough! I am grateful I can put off grocery shopping to another day. 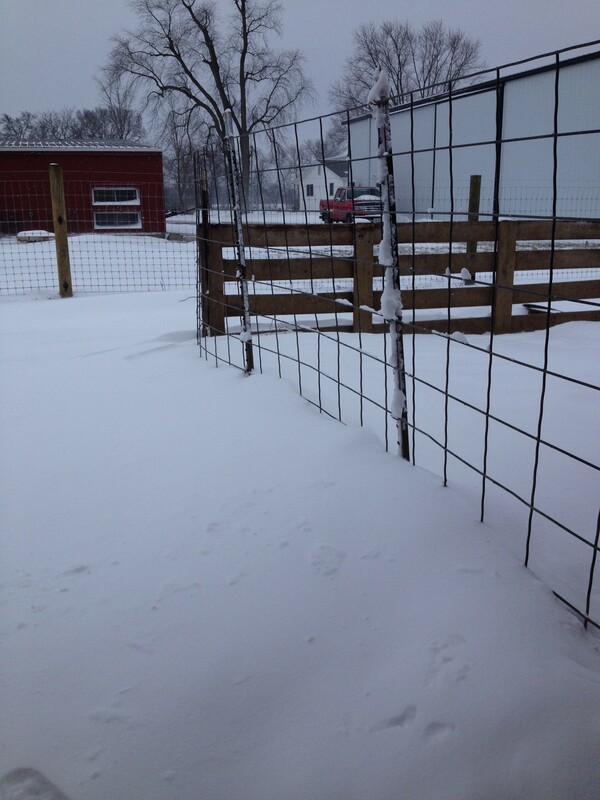 This entry was posted in Country Living, Positive Thinking, Random Thoughts, Work/Career and tagged 2014 calendar, Berkshire pig, Boer goats, chores, coffee, country living, gratefulness, hot chocolate, Illinois winter, snow. Bookmark the permalink. 13 Responses to Feeling rather grateful. LOL! I had not seen that clip before!! Thank you so much for sharing. Great post! Have a great 2014! Thank you and best wishes for your new year, too! One of my goals is NOT to go to Wal-Mart so often…once a month would be nice! Like you, I find things to be grateful about everyday and I thank God for all that I have. Like dayphoto, I have been cutting down on my Wal-Mart trips. Mostly because I don’t think they deserve my business. I agree! The less I am in there, the better. Berkshires. They are excellent for their meat quality. We will know soon if our Bernice is bred. 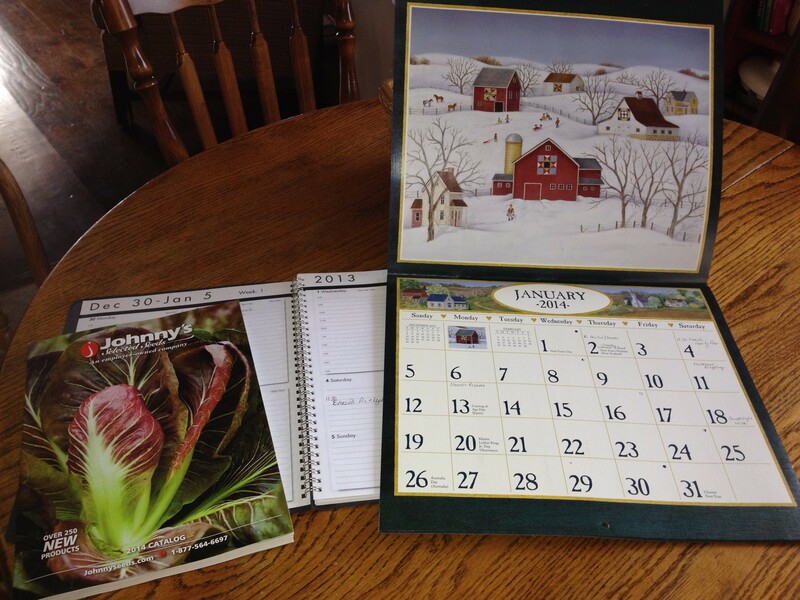 I love the Lang calendars–and so many to choose from. Nothing like a brand new blank one. Hope you get a reprieve from the wintry weather soon. I love the Lang calendars, too! We are in a thaw now.